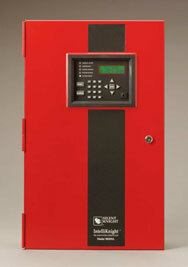 Rayco Security proudly features SILENT KNIGHT Fire Alarm & Life Safety products. Silent Knight Fire Alarm Control Panels offer both Conventional and Addressable technologies to suit your engineering requirements. Our Fire Alarm & Life Safety Systems provide you with comprehensive and complete equipment packages for your design specifications. Design Built Systems are our specialty! Send us a set of your plans and we will quote your system for you. It’s that simple!